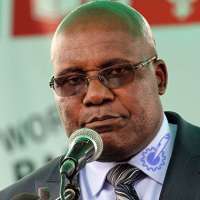 ZANU-PF heavyweights in Manicaland Province reportedly failed to make it during the primary elections, with Politburo member and Minister of State in the President’s Office responsible for Scholarships Cde Christopher Mushohwe making the list of losers. Polling in Manicaland ended on Monday in most constituencies, with results having been sent to the provincial office for further scrutiny. Some losing candidates are said to have lodged complaints with the provincial office regarding the manner in which the primary elections were held citing a raft of irregularities. Manicaland provincial elections commissioner Ambassador Zenzo Nsimbi said they were preparing to send the results to the Zanu-PF national political commissar, Retired Major General Engelbert Rugeje. “All the results will be handed over to national political commissar, Cde Rugeje, who will announce them. I am sure he will be holding a press conference where he will announce the results,” he said. Unconfirmed reports said Cde Mushohwe lost to Cde Percy Muchimwe, who is a member of the Johanne Marange Apostolic sect. Former Minister of Women Affairs Cde Nyasha Chikwinya is said to have lost to Cde Jefrey Ngome in Mutare South, while Cde Irene Zindi lost to Cde Misheck Mugadza in Mutasa South. Cde Zindi was quick to vent her anger at the manner in which elections were held in her constituency through her Facebook post. Cde Luke Masamvu, who was the sitting MP in Mutasa North, is also said to have lost to Cde Chido Madiwa Tsinakwadi. Minister of Finance and Economic Development Cde Patrick Chinamasa is said to have resoundingly won in Makoni Central while Central Committee member Cde Joshua Sacco led in Chimanimani East. Dr Joseph Made was said to be leading for a Senate seat in Makoni. Cde Enock Porusingazi was reported to be in pole position in Chipinge South while Chimanimani West MP Cde Nokhutula Matsikenyeri was also believed to have won. Provincial executive member Cde Nancy Saungweme was said to have won in Mutare Central.